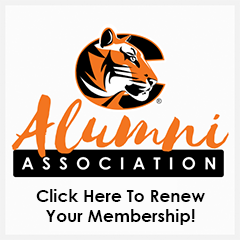 The Cowley College Alumni Association is officially up and running. We began enrolling new members at the 95th Commencement of Cowley College on Saturday, May 12th, 2018. In addition to our dues-paying members, we are excited to count the graduating class of 2018 as members of our growing Alumni Association. Each 2018 graduate is an automatic member of the Cowley College Alumni Association for one year. We would be honored to have you join us as well. At Cowley, we're family. We'd love to count you as part of it. Our Vision is to be the central hub of the Cowley alumni community. Our Mission is to be the link between Cowley College and its alumni. 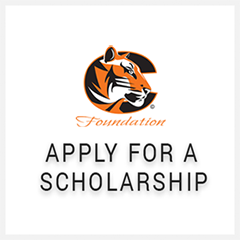 To inspire lifelong love for the college and involvement that benefits the entire Cowley Family through valuable programming for our alumni and opportunities to give back. 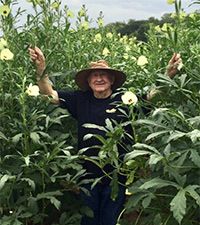 Connection: We seek to keep our alumni connected to the College and to each other. Integrity: Everything we do, big or small, will demonstrate our commitment to honesty, respect and responsibility. Value: We strive to be of value to our alumni, the College, and the entire Cowley Family. Orange: We are more than just a college, we’re a Family. Orange is a metaphor for the pride and passion for Cowley College that exists among our alumni, students, and anyone else who has ever called Cowley home. Advocacy: We advocate for matters that affect the college and its current students. As a farm kid growing up in southern Kansas, I was comfortable knowing that a career in ranching and farming was waiting there for me. However, severe asthma attacks during my high school years due to hay and grain dust made me realize that a career in farming was probably out of the question. I just couldn’t come up with what kind of a career I really wanted, so I decided to attend the local Arkansas City Junior College and think about it some more. Join us at the Alumni Association Arkalalah Party on Saturday, October 27 from 4 to 6 p.m. at Ben Givens Park in Arkansas City as we take over the beer garden. Our very own Kris Ripley will be our featured DJ. All Alumni Association members will receive a free drink ticket with their membership card. All Lifetime Members will receive two drink tickets. We will also have drawings for prizes and goodies!